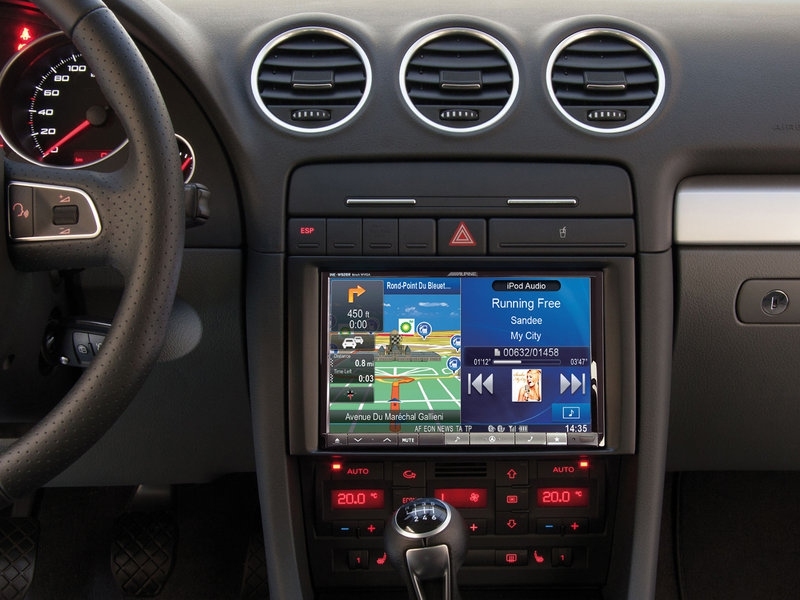 Now you can upgrade to a One Look Navi XL with 8-inch monitor and be sure of getting an install that fits perfectly and looks great. In addition to much better visibility and greater operating ease when navigating, you’ll have advanced capabilities for audio/video enjoyment, making phone calls and much more. 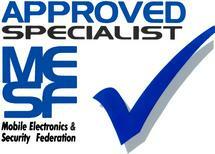 Perfect F.I.T. 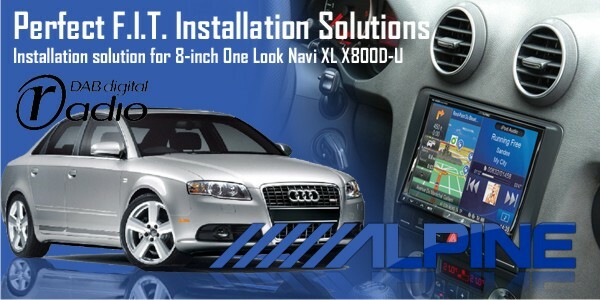 Installation solution for Alpine X800D-U 8-inch One Look Navi XL. 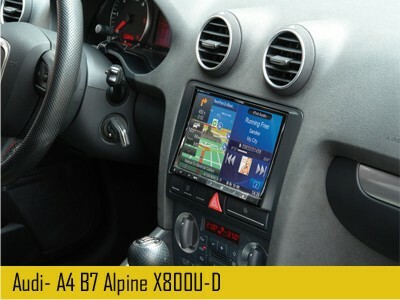 Alpine offer the unique proposition of HUGE 8″ Navigation Sytem, using one of cutom made kits. 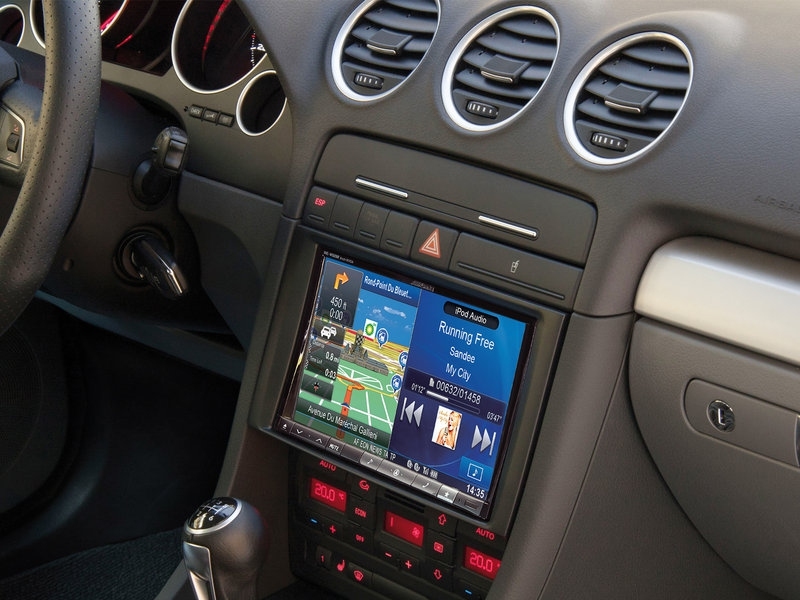 This allows fitment of the 8 inch X800D-U One look Navi with DAB radio and BASS ENGINE SQ. 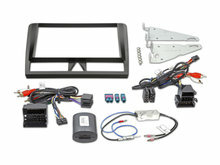 Alpine custom kits for Audi A3 and A4 include everything we need. 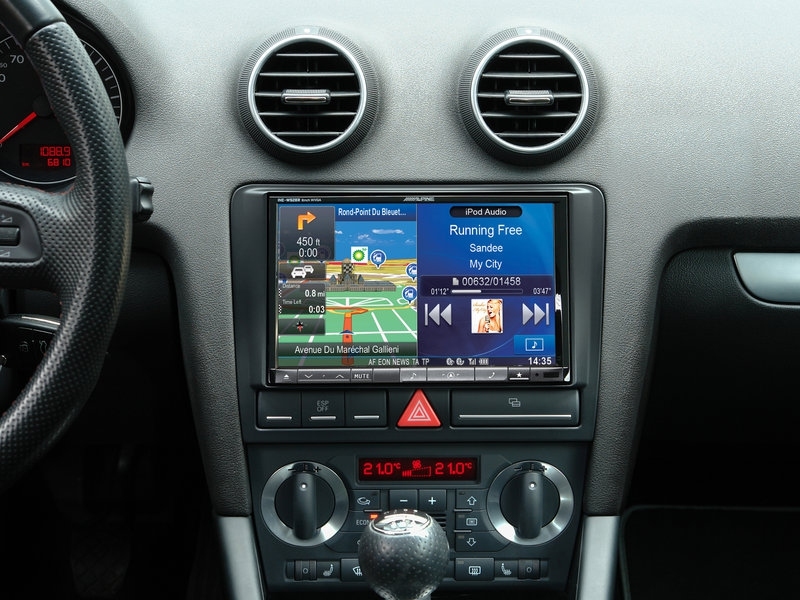 The interface will also provide information on Red or White Highline MFD if your vehicle has one. 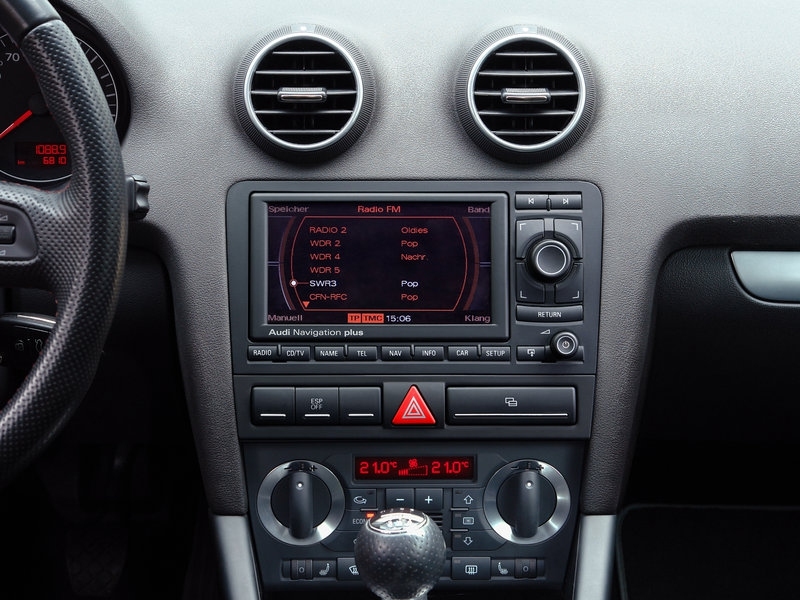 Alpine’s perfect fit kit will also support the car’s radio display in the instrument cluster (MFD) and Steering Wheel Remote Control. 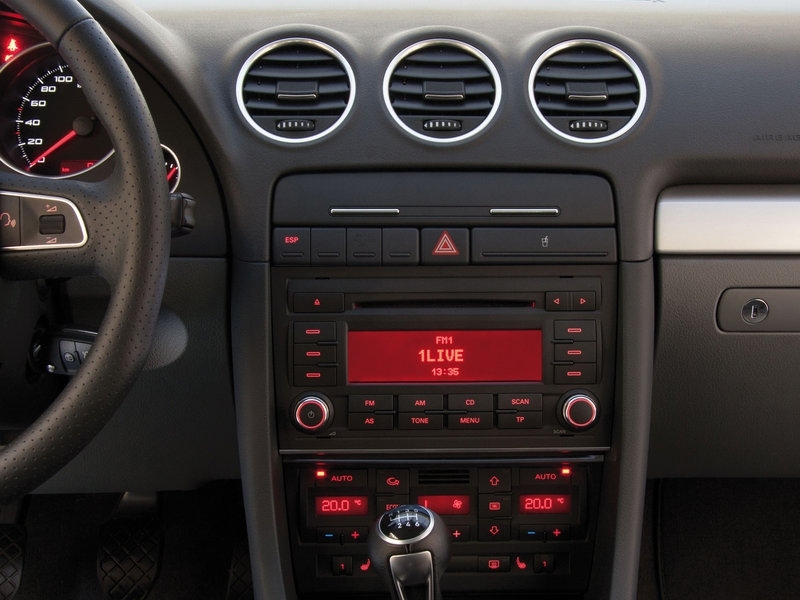 If your audi has Bose sound sytem please add £100.